Hi everyone! 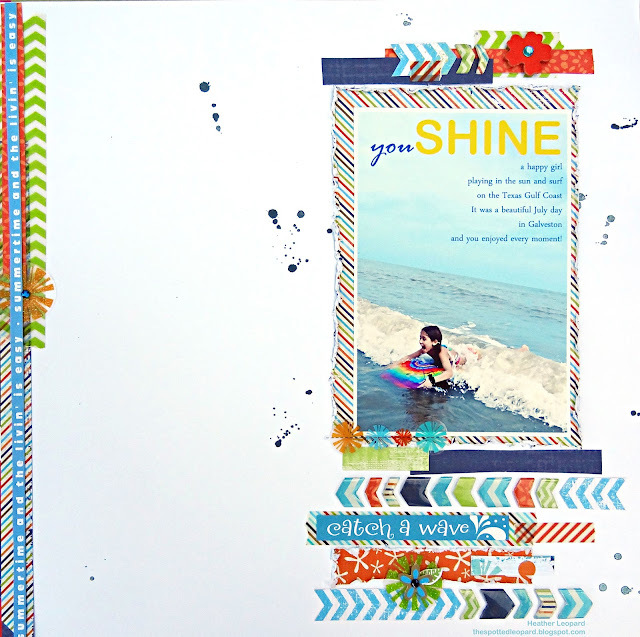 Not sure if you heard but Little Yellow Bicycle and Epiphany Crafts recently teamed up and the designers have been busy creating summertime goodies to share with you. 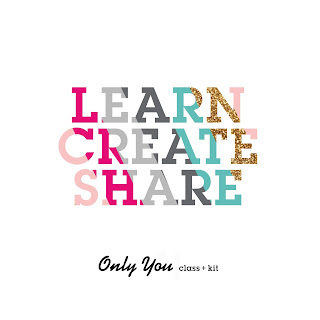 It's been going on all week on the LYB & EC blogs but today we're doing a little mini blog hop. See the deets at the end of this post! Do you see the banners? Nope! I had this photo that I wanted to use of my daughter riding the waves and I really wanted to try to add a sense of motion to the layout. I played around with the tool a bit and then I grabbed my handy dandy scissors and cut the top part of the banner off at an angle and voila, I had chevrons! I was able to cut large ones and small ones, usually getting two smaller chevrons from one large banner. Heather Leopard - you are HERE! Many thanks to Epiphany Crafts for letting me play with your cool tools!!! Amazing layout! I love it! Great Layout. I love it...The colors are so neat. Great job. Love your layout Heather!!! Hope things are going better for u all. Fun layout--I like how you used the banners to make chevrons. LOVE all of the Chevrons on this one, Heather! Very, very cute! Oh my gosh! I love the chevrons! That is a great idea! Cute layout! Love the colors!!! Love your use of white space and the way you used the banner tool, very clever! GREAT page!!!! That banner tool is my favorite from EC! SO CLEVER how you used it as a chevron design. Hmm...must give this a try :) TFS!! I love it. I think this has been my favorite layout of the group! Very cute layout... I love the colors and use of directional embellishments. I might need to scraplift a few ideas!!! Love this page, and GENIUS to create the chevrons from the banner. So clever! This has been such a fun collaboration! Love how you used the banner to make the chevron border! great idea. Cute use of a banner! what a clever use of the banners - your layout is awesome! this I LOVE! Great colors--love the strips, just AWESOME!! Love your layout---I just wish I was at the beach Right NOW! Great layout - you totally caught the action! Love the layout! You really pulled the colors out of the picture! Cute! Love the colors! I love Epiphany Crafts tools! Great layout! Loving the look of those strips! thanks for the inspiration! Love, love, LOVE the chevron you cut from the banner. Clever!! I love this layout, it's beautiful! Great layout----I have a lot to learn..
Great idea!! I love the sense of movement created with chevrons and love the colours! Very cool! I did spot the banners right away because I was looking for the shine, but I really love how they work as arrows! So fun! TFS! THis is so awesome and bright I love it! Such a creative way to make the chevrons! 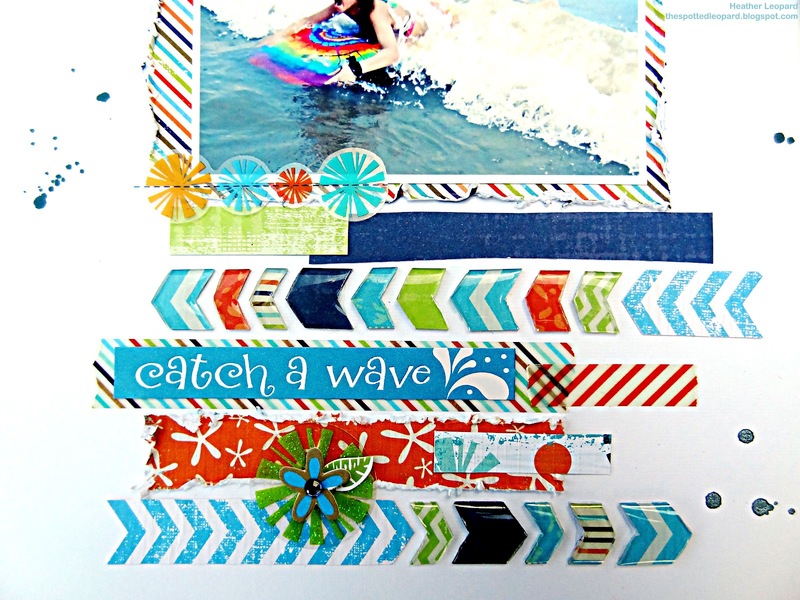 Love the focal pic on your page too - awesome beach photo! Thanks for sharing your cool layout with us. I like what you did with the layout. This is just adorable Heather! I love the chevrons! Love that you turned the banner into chevrons!! Awesome layout! Great LO!! Love the vibrant colors!! Love the chevron design - it adds to the movement. I love the chevron banners on the layout. I wish I were clever enough to think of some of these things myself. Great job!!! Love the bright colors in your layout! Great idea with the chevrons. never would of knew how you made those chevrons. great idea,look forward to see the banners on next post. love the colors and your photo! great page for your daughter. Great page! Love the white space and the popping colors! Super duper cute, Heather! Love the way you used the arrows. Really fun page. Can't wait to use these new products - AND your great design! Great idea to create chevrons! Love the design of this! heck yes... I like your style!!! I laughed so hard about you admitting your change of direction and not using the banners right away... Your layout is so appealing to the eye with the "white space" and splatters! So love this!! I am a new follower! Love how you changed up the Banner to work for you! Very creative! I like the color scheme and the arrows! LOVE the SPLASH collection and what a GREAT idea to use the Epiphany tool to turn the banners into chevrons...LOVE how those turned out on your LO!!! !